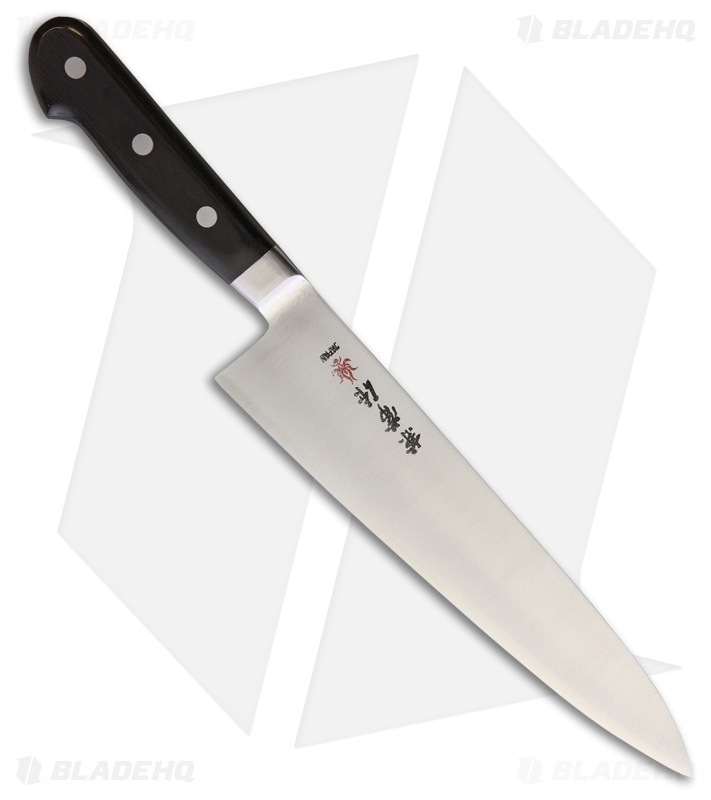 The Kanetsune Gyutou 13" Chef's Knife, features the famed Japanese Blue Steel, known for it's exceptional sharpness and edge retention, your kitchen tasks will be a breeze with this in your hand. The 8.375" satin finished blade has a core of Aogami Blue Steek clad with 410 stainless steel for corrosion resistance. A slight curve is present in the blade, making chopping, mincing and dicing quick and easy. The handle is mated to the full tang blade with a polished stainless steel bolster. Attractive black wood handles feature glued and pinned construction for a reliable and durable tool. Comfortable in hand, the contoured handle allows you to safely and precisely control the cutting edge with little to no fatigue.